Paper Check - Must be in office before next scheduled game or team will not be allowed to play. WHY RED LINE STILL SHOWS ON PLAYER AFTER HE HAS SERVED HIS SIT-OUT? Following needs to be completed. 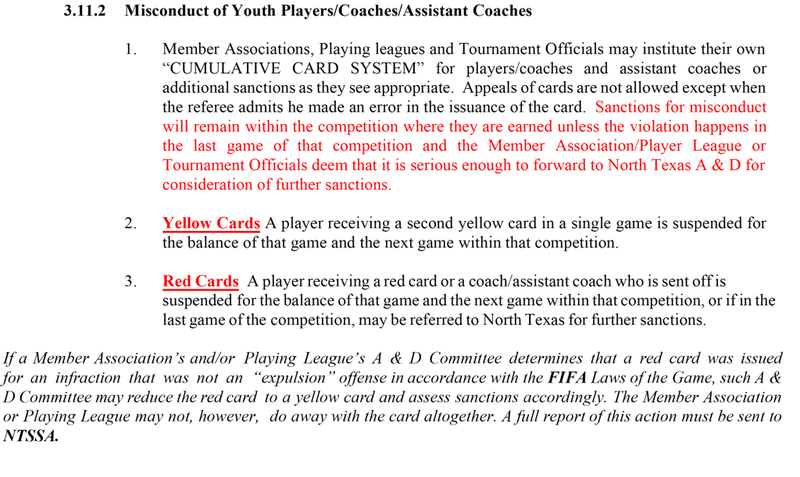 If, during the current year, a player has accumulated a total of 7 (seven) cards - meaning any combination of red and yellow cards totaling 7 (seven), he shall be immediately suspended pending a hearing with the Classic League A&D Committee and assessed a fine of $100.00 (payable to CCSAI). 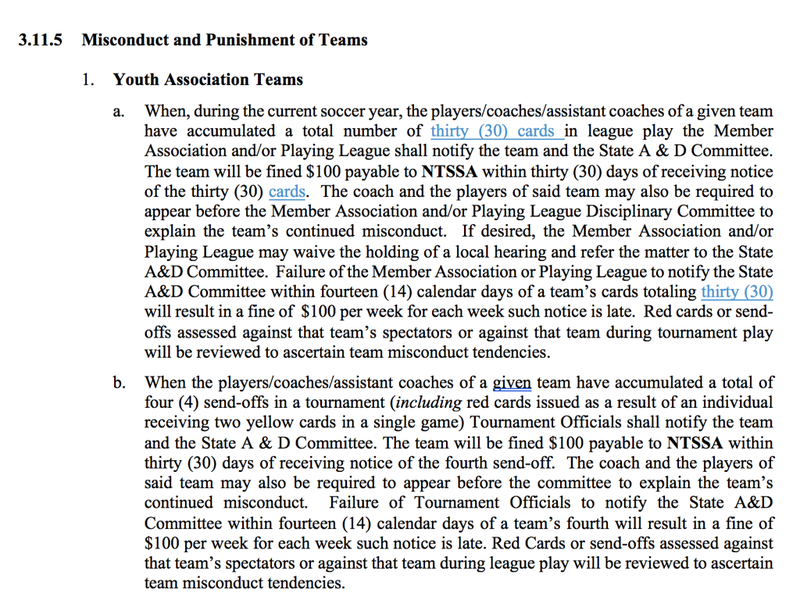 If a player receives 3 (three) red cards, he shall be immediately suspended pending a hearing with the Classic League A&D Committee and assessed a fine of $100.00 (payable to CCSAI). If a coach or assistant coach receives 3 (three) send offs, he shall be immediately suspended pending a hearing with the Classic League A&D Committee. Coaches will be assessed a fine of $100 for each red card (payable to CCSAI). NOTE: The penalties listed above are minimum penalties and cannot be reduced. These suspensions must be served whether or not the referee turns in his misconduct report in a timely manner or not. "Be advised that issues of referee abuse and assault are not handled by CCSAI, but rather are sent directly to NTSSA.